Want to participate? Looks Interesting? All the participants should either be fan on Hachette India Facebook page OR follow Hachette India’s Twitter handle @HachetteIndia. Participants should be Indian residents. Participants can participate only on Twitter or on Facebook. Multiple entries on both Facebook and Twitter from the same participant will not be accepted. The contest will start on 24th August, 2015 at 01:00 pm and end on 25th August, 2015 at 03:00 pm. No late entries will be accepted. Participants will be eligible for the winning, only if they correctly answer all 6 questions on Twitter or all 3 questions on Facebook by 25th August, 2015, 03:00 pm. 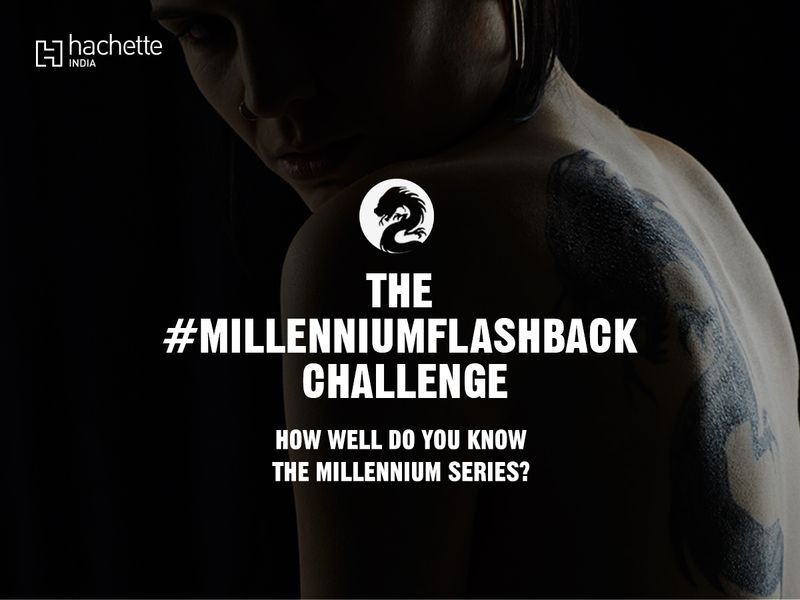 Participants must include #MillenniumFlashback in their responses. The entries may be screened for defamatory content/language. Hachette India employees and its partners’ employees are eligible to participate in the contest but will not be considered for the prizes. Hachette India reserves the right for last minute cancellation and change in terms and conditions. Any disputes arising from this contest are subject to jurisdiction in Delhi. Winners will be determined by the management of Hachette India. The decision of the management will be final and no queries will be entertained in this regard.